Text contributions by Elke Beyer, Anke Hagemann, Norbert Mappes-Niediek, Maroje Mrduljaš, Michael Zinganel, et al. This book goes to print at a time when critical discussion about tourism development (and the sometimes reckless neglect, in recent years, of regulatory planning) is on the rise in Bulgaria and Croatia. Although their political paths and planning cultures have radically diverged in state socialist and capitalist contexts, the two countries now face the same issues: firstly, how best to develop and maintain their respective coastal regions, both as a vital economic resource and as a natural and cultural asset accessible to all; and, secondly, how to evaluate the (built) legacies of the state socialist era. Thus, the focus of this volume is the initial construction and use of explicitly modern leisure resorts and hotels, as well as the various metamorphoses they have undergone in the intervening decades, from the planning processes initiated in the state socialist era through to post-socialist restructuring. The contributions compiled here address not only the many ways in which the resorts and individual structures have been physically restructured since the collapse of state socialism, or the new types of tourism architecture to be found in Bulgaria and Croatia since the deregulation of real estate; they deal also with economic change, which is to say, with revised models of mass tourism and the passage of ownership, investment and management into the hands of the respective countries’ new elites. By way of introduction, Elke Beyer and Michael Zinganel present a survey of the origins and architectural history of mass tourism after World War II. The main part of the book is divided into two sections, one devoted to the Bulgarian Black Sea coast, the other to the Croatian Adriatic. In each section, an extensive overview of the region’s development is followed by eight or nine case studies: accounts of the fate of individual hotels or resorts, illustrating the broad spectrum of physical and economic restructuring, from dereliction, to refurbishment or conversion. In the first section, Elke Beyer and Anke Hagemann discuss different phases of urban planning and architectural development in Bulgarian seaside resorts. 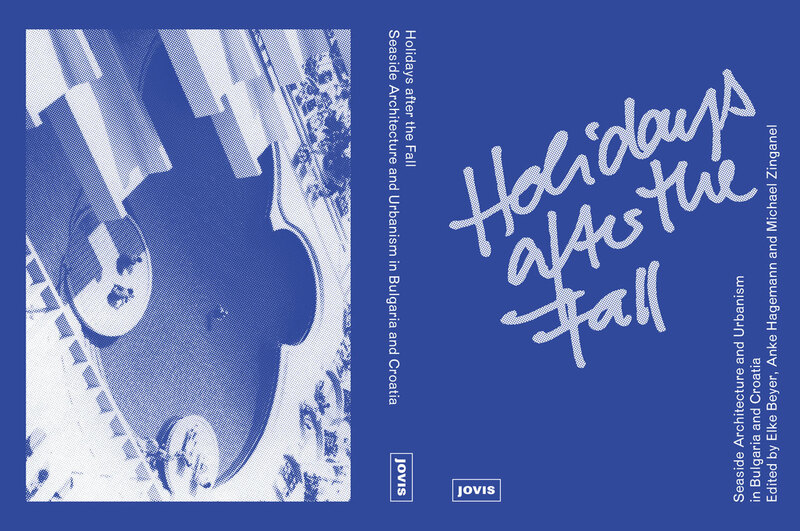 In six chapters devoted to individual resorts, they demonstrate how radically both public images and architectural interpretations of Bulgaria’s Black Sea coast – the ‘tourist product’ – have shifted from era to era, from the first centrally planned holiday resorts of the late 1950s through to the 1970s mass resorts, from different models of privatization to the consequences of ‘boom and bust’ construction on the Black Sea coast today. The second section on Croatian tourism architecture consists of three chapters with different thematic approaches: Michael Zinganel describes the transition from ‘social tourism’ – the ‘ideologically sound’ state-subsidized workers’ holiday – to market-oriented, commercial mass tourism. Maroje Mrduljaš traces the planning history of socialist mass tourism resorts on the Croatian Adriatic. His contribution, in combination with a series of analytical drawings by Kerstin Stramer and Michael Zinganel, explores how different architectural typologies were used to integrate hotel buildings in the landscape, and how their specially commissioned modernist interiors fostered innovative design. Norbert Mappes-Niediek introduces the model of workers’ self-management, (which was widely adopted in Yugoslavia’s tourism sector), analyzes the reasons for Croatia’s very hesitant, complex and still on-going privatization process, and shows how certain parties have stopped at nothing to gain a competitive edge. Two photo series frame the analytical section of the book. It begins with a series from the archives of the Zagreb travel agency Turistkomerc, showing freshly built hotel architectures on the Croatian Adriatic in an early 1970s glam aesthetic; and it ends with a series by Bulgarian photographer Nikola Mihov, who took a trip through the Bulgarian Black Sea coast’s overdeveloped holiday landscapes in late September 2012 and captured their low-season air of desertion for this book.